Dr. Huda Nazar has completed her BDS in 1994 from Cairo University in Egypt and completed CAGS, MSD, and American Written Board Examination in Dental Public Health in 2010 from Boston University- MA,USA. She is Head of Research and Survey Division since 2014, Dental Administration-MOH-Kuwait. She has several published papers. Background: Early detection of oral cancer can improve the prognosis and the 5-year survival rate. Oral cancer screening should be done by dentists as a routine procedure. Objectives: To assess the level of oral cancer knowledge among new dental graduates who attended the continuing education courses through MOH, Dental Administration –Kuwait. Methods: Self-reporting questionnaire was distributed to newly graduated dentists in Kuwait during 2012 to 2015. The questionnaire included questions on knowledge, practices, opinion, and attitude regarding oral cancer. The answers to knowledge questions were coded, then entered, and analyzed separately using Epi-Info 3.5.3. Results: Of the 310 dentists who responded, 96% were Kuwaiti, 4% were from other countries. The mean age was 31.7±10.3 years with the gender distribution of 55.2% males and 44.8% females. The mean experience was 1.4±1.8 years. Ninety four percent of the dentists had a bachelor degree and 6% had degrees more than bachelor. Majority of dentists knew the lesions associated with oral cancer (92%). Also, most of dentists had knowledge about the characteristics of oral cancer metastases (83%) as well as its common risk factors (95%). 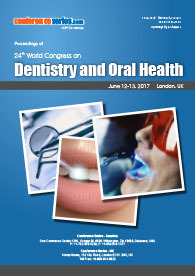 Their knowledge on the age of oral cancer diagnosis (41%) as well as its common symptoms (51%) was not very encouraging. 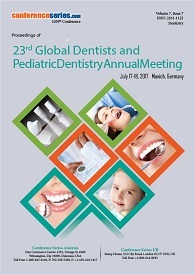 Almost, all dentists were interested in attending continuing education courses regarding oral cancer (96%). 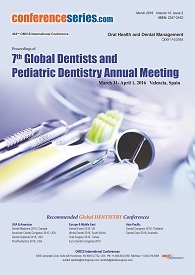 Conclusion: Most dentists showed a good knowledge about various aspects of oral cancer. More continuing education programs should be arranged to train newly graduated dentists regarding visual oral cancer screening. Oral cancer screening should be a routine procedure for the high risk patients at the primary oral health care clinics. Key words: oral cancer, dentists, knowledge, risk factors.